The new form builder now shows your app fields instead of form components. Previously you had to select a form component and then link that form component to a field of your Podio app. 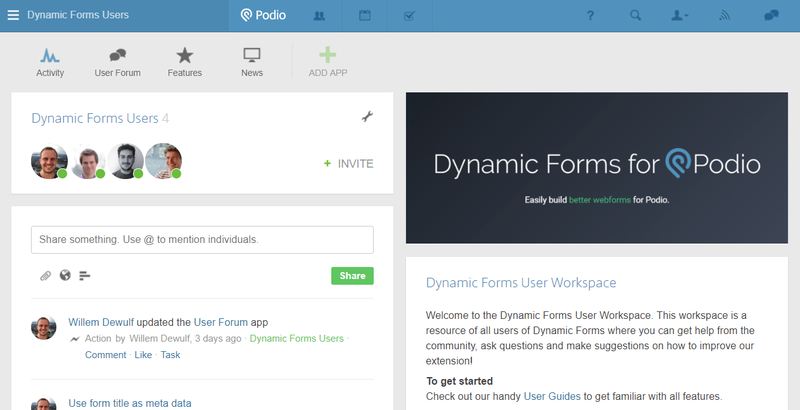 Now the new form builer allows you to quickly drag & drop your Podio app fields directly to the form. This significant change hugely improves the user experience as you can now add Podio fields on the go. Dynamic Forms for Podio offers a lot of flexibillity and opens the door for tech wizards to build all kinds of advanced webforms. We wanted to share tips and tricks with all users which is why we've created a Podio workspace. Not only will we post questions and answers, but we'll also use this workspace to keep you updated on future news and features! Good news! We've decided to change our light plan to a freemium plan that gives you access to all plus features. This replaces the 14 day free trial and gives you the time you need to discover Dynamic Forms for Podio whenever you feel like it.